Wholesale Sports Daily recently signed an exclusive two-year autograph deal with quarterback Josh Allen and linebacker Tremaine Edmunds. Do you have items that you would like autographed by Buffalo’s first round picks in the 2018 draft? If so, get those items to Bases Loaded Sports Collectibles, 794 French Road, Cheektowaga! Wholesale Sports Daily (WSD) recently signed an exclusive two-year autograph deal with quarterback Josh Allen and linebacker Tremaine Edmunds, and will host the athletes at the annual sports card and memorabilia show in Chantilly, Va., on July 15. Bases Loaded is the official drop-off location in Western New York for individuals who would like to have items signed but can’t make the trip to The Chantilly Show. The cost is $99 per autograph for Allen and $40 for Edmunds. Items need to be dropped off at Bases Loaded by July 9. Memorabilia suitable for autographs, such as mini helmets, can be purchased at Bases Loaded. For more information, please call 656-0066, email jeff@basesny.com or visit basesny.com. You can also follow Bases Loaded on Facebook at www.facebook.com/pages/Bases-Loaded-Sports-Collectibles/247591781924767 for frequent updates. 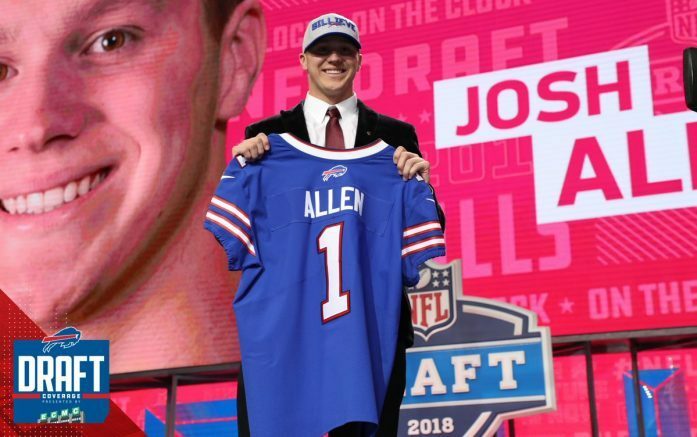 Be the first to comment on "Bases Loaded Sports Collectibles, Wholesale Sports Daily teaming up for Josh Allen, Tremaine Edmunds signing event"